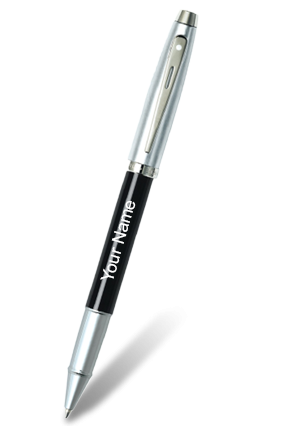 As we provide the service of personalization, you can get a personalized pen for yourself too. For this, you need to visit our website. We have organized a display for you in which you can explore numerous pens from different brands like Parker, Legend, Cross, Waterman, Luxor etc. 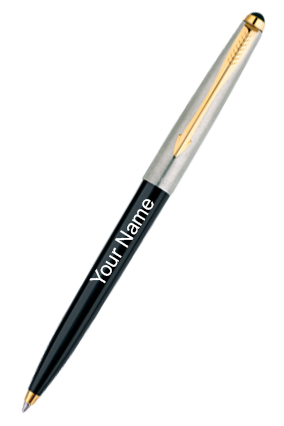 In our collection, you can get your personalized pen in the material of plastic, metal, wood etc. According to your requirement, you can choose your material. Your name can be either printed or engraved on the pen depending on the material of it, for instance, on the metallic material, your name will be engraved and on the material of plastic and wood, your name will be printed. The metallic pen looks more classy and premium. For branded pens, you can browse our collection. From the brands Parker, Legend, Cross, Waterman, and Luxor, you can easily choose your personalized pen according to your budget and requirement. Every brand keeps its own price range, for instance, if you need a branded pen under the budget price, you can browse the collection of Parker and Luxor. And if you want an expensive and exclusive pen, you can get it from Waterman, Cross, and Legend. The brand Parker owns a huge range of pens in which you can get expensive pens too as well as budget pens. Parker is a well-known brand in India. Gifting a pen with name is a great option and people prefer it actually. On various occasions like birthday, teacher’s day, the farewell of a colleague, you can use it as a gift item. According to your budget, you can get branded and non-branded pen from our store. To get such a pen from our store, all you have to do is to select a pen for you and upload the name you want to imprint on it. We have provided a customization tool on our website. We will print the name on your pen. The recipient will appreciate your effort of gifting such a great gift.